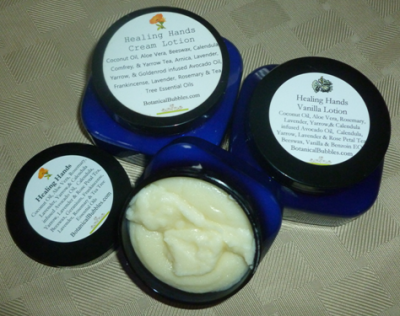 Avocado Oil and Sunflower Oil are the base for these lotions. Sometimes these oils are infused with herbs, such as for the Lavender, Lemon Verbena, and Rose Lotions. Thick, nourishing Coconut Oil, is blended with oils that contain natural SPF: Red Raspberry Seed Oil, Avocado Oil, and Olive Oil. These are thickened with Beeswax and Shea Butter for a creamy, moisturizing sunblock. *As with any natural sunscreen protection may vary from person to person, please test before using for long term sun exposure. 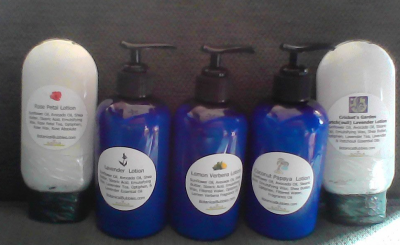 Light hydrating oils are combined with organic coconut oil and local beeswax. 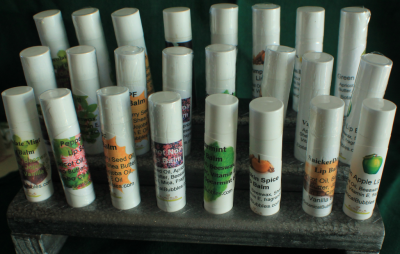 Lip scrubs are a delicious way to exfoliate and soften your lips. Simply scoop a bit out and gently rub across your lips. Did you see something at a market that isn't shown here? Want something special that isn't shown here?